Mantua Soccer Families : The objective of the Club today is still the same as it was when it all began….that is to promote, foster and perpetuate the game of soccer on all levels. For many years now Mantua Soccer has provided opportunities for the children of Mantua and surrounding towns to play soccer at all ages and levels. We continue to do a nice job of developing young kids at the recreational level with the help of our GPS partners, but continue to lose kids to surrounding premier programs at a young age . For those players who wanted more of a challenge and more of a commitment to soccer and compete at a higher level, we created a Few Test Teams This Year, calling them GPS MANTUA – FC BAYERN which played in the EDP League. These Teams not only kept their Existing Players but also added some other local players and had a very successful Fall Season and look to continue their success in the Spring Season. As you may or may not know we have been working with Harrison Soccer Club and Global Premier Soccer (GPS) to provide our most talented players an opportunity to have a structured environment to maximize their development by participating at the highest possible level without having to leave our clubs. This premier level program is called GPS Clearview . It is a year-round program for committed soccer players looking to take the next step in their development. Players within the program will receive coaching from full-time GPS professional staff and will train and play at William Wilt Soccer Complex and Chestnut Branch Park. This program is catered for players of all ages within the area and surrounding townships to develop and compete at the highest level and is not an exclusive project for just Clearview school pupils and population. 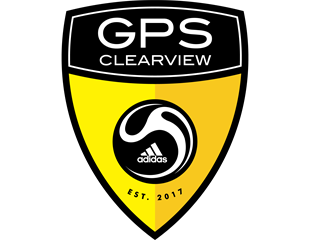 GPS Clearview welcomes anyone within the West Region to attend tryouts and become a part of the GPS family." Tryouts will be held the first 2 weeks in April, exact dates and times will be released this week. The cost breakdown for the age groups and commitments are found below. In the coming week you will receive emails from GPS and MTSA for tryout registration. All interested players must register for tryouts. Mantua Soccer will continue to form travel teams, separate from HSC and GPS Clearview for all levels of play. Tryouts for Mantua travel teams will be held after GPS Clearview tryouts during the last 2 weeks in April, exact times and dates will be released shortly.